The first session on Jan. 24th is about communication skills and choosing a short speech topic. The second session on Jan. 31st will provide an opportunity to present speeches. Participants in this public speaking series will receive a stipend. 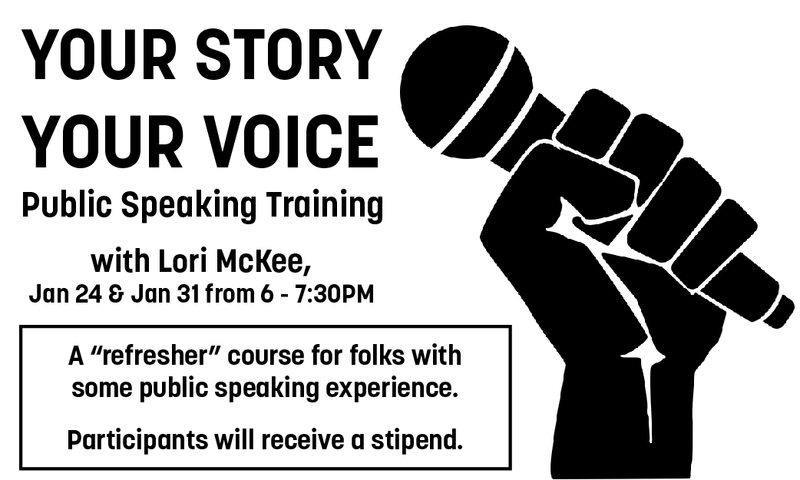 *If you're a beginner and would like to start learning about public speaking, please stay tuned for our next Your Story Your Voice series with Patti Shaughnessy. Dates for this more involved series will be announced soon.